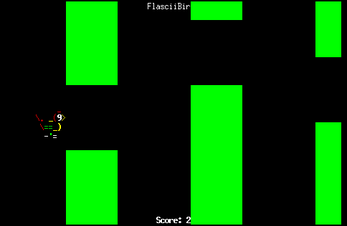 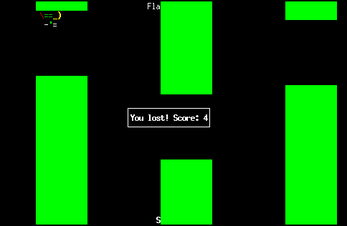 Text-based (ncurses) port of popular Flappy Bird game. Get the source on GitHub! 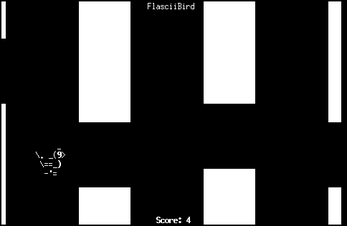 Controls: ESC quits the game, RETURN restarts after failure, (almost) anything else to flap!